I've always been fascinated by space, when I was a kid I used to pore over astronomy books, reading about the findings of probes such as Viking 1 and 2. 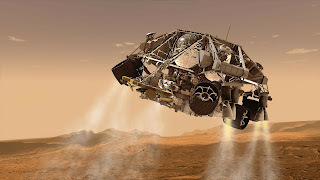 I remember that I was really excited about the finding that the Mars atmosphere contained 1% oxygen (which apparently is wrong, I'm led to understand that it's actually 0.13%) because at the time I thought that it meant that, with some sort of oxygen extraction device, it could increase the feasibility of a Mars base. Now, recently NASA reported that there appears to be quantities of hydrogen gas on Saturn's moon Enceladus, created by significant hydrothermal activity on its sea floor, as well as observing plumes of what appears to be water on Jupiter's moon Europa. However, there's one thing when it comes to space exploration that puzzles me - why do space mission people feel the need to end their spacecraft? The twin GRAIL lunar research spacecraft were smashed into the Moon into two impact sites named Ebb and Flow. The European Space Agencies' Rosetta spacecraft was slammed into a comet. The Messenger spacecraft crashed into Mercury. And the Cassini spacecraft is shortly due to begin a final series of complex maneuvers before being sunk into the depths of Saturn, to be crushed by the heavy atmospheric pressures of the gas giant. To be fair, the Cassini probe is hoped to carry out some unique research on its final descent into the planet. And the Messenger one ran out of fuel. But I'm not convinced that for at least some of these spacecraft the main intent of a crash landing isn't just to give an opportunity for one last press release, one high profile end to a long long story. To give the mission team some closure. And to be fair they probably deserve it after working on a mission for so many years. But how much do these probes cost? The Rosetta mission, for example, cost 1.4 billion Euros, while Cassini cost well over $3bn. Seems like a lot of money spent on something if we ultimately wreck it - although, to be honest, I don't have a big issue with the cost, for me space travel is potentially one of the most important pieces of research that we can do, and as long as it completes its mission, I do think it's money well spent. I suspect that we might actually like to recover some of these ancient artifacts of what will be primitive space travel. We'll consider the casual destruction of these probes as historical crimes, and historians will spend a great deal of time and effort deciphering designs and textbooks to recreate impressions of spacecraft lost to time. That is assuming that we have records of these spacecraft at all. Think of the Early Middle Ages in Europe, how it is often referred to as the "Dark Ages", because we have so little surviving documentation that tells us what happened. Or more recently, thousands of TV and radio shows have been lost because until the 1970s it was quite common to record over old tapes, or not record them in the first place. I know the BBC have put great effort into recreating episodes of classics such as Hancock's Half Hour and Doctor Who, of which original recordings have been lost. 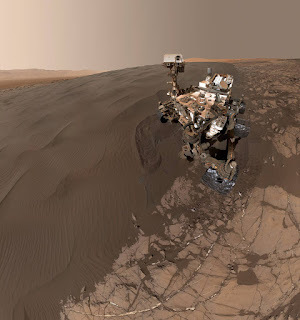 It's not too hard to imagine someone, several centuries from now, spending decades carefully analysing a modern day space probe - perhaps one of the Mars Rovers - desperately trying to obtain clues about our existence from the probes we sent out into space. Basic stuff - what did we eat? Who were our leaders? And what is a "selfie"?!? So my view is that rather than giving these craft a glorious but brief end, we should instead stick a M-Disc full of information in it (along with a DVD drive to read it), and when a probe has finished its expensive mission our mission controllers should allow it to rest safely, enabling future discovery. I think we should turn them into a ride share in space. We need to get right to work on the App, SpaceLyftUber. Man we could get rich. New iPads for everyone. That's an awesome idea. Maybe you could stream video from the probe live, that would be awesome. A really well done blog, Mike! You raise some excellent questions. I have been interested in space for as long as I can remember. You may have an excellent solution for NASA! But what if aliens got hold of it? Have you never seen Star Trek The Motion Picture? That is actually the best argument I've had for why they should be destroyed. Well played, Captain.